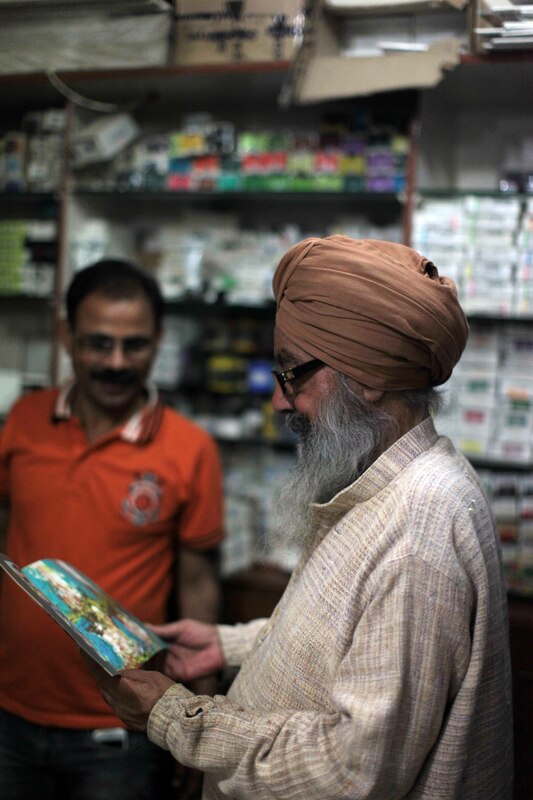 Hardev Singh is perhaps the only artist hailing from Sikh background who have tried to create the forms, images and texture inherent in the writings and music of the Sikh Scriptures, Sri Guru Granth Sahib. All the other Sikh artists have painted (or tried to paint likeness of the Gurus and heroes of Sikh history. Which should never have occurred. The experiment inspired by Gurbani and Music inherent in the Granth has been successfully done by Hardev creating works with Baramaha Tukhari, Shabd and series with verses. While being resident artist at the Punjabi University, Patiala he painted 31 Ragas from the Granth Sahib which have created interest in art circles, present being exhibited at the Gurmat Sangeet Bhavan of the Punjabi University in Patiala. 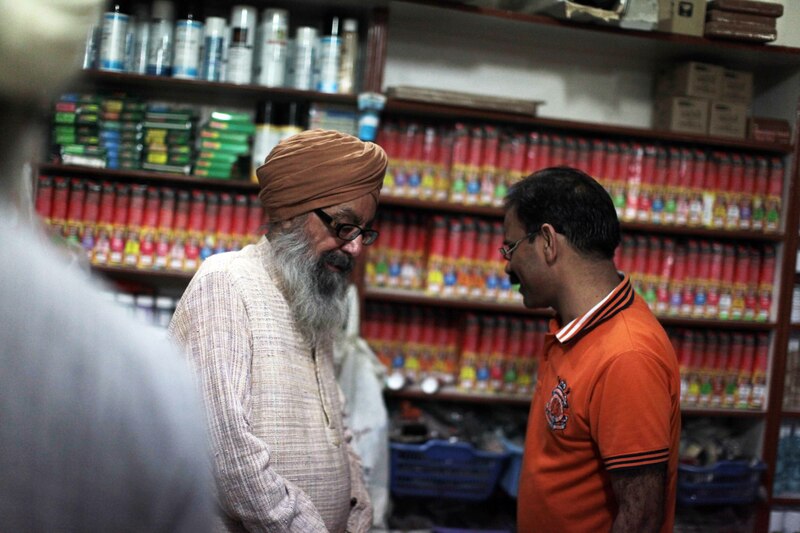 The Anad Foundation have the privilege of inviting Hardev Singh as resident artist at the site of ancient monument at historical town of Sultanpur Lodhi associated with revelations to the founder of the Sikh Religion, Guru Nanak. 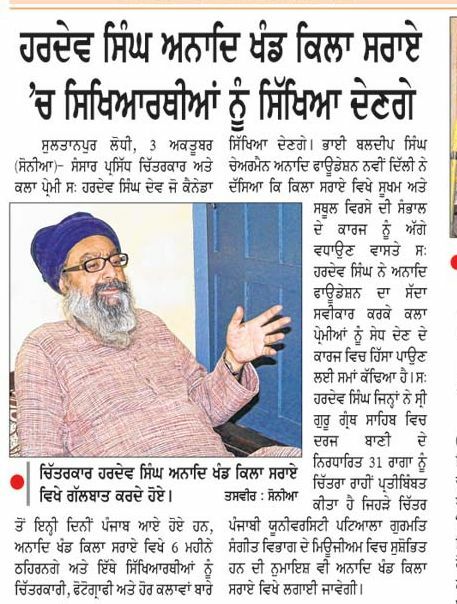 Hardev will organize workshops and seminars for artists and may even organize an international meet of the artists at this historic site in the next year. 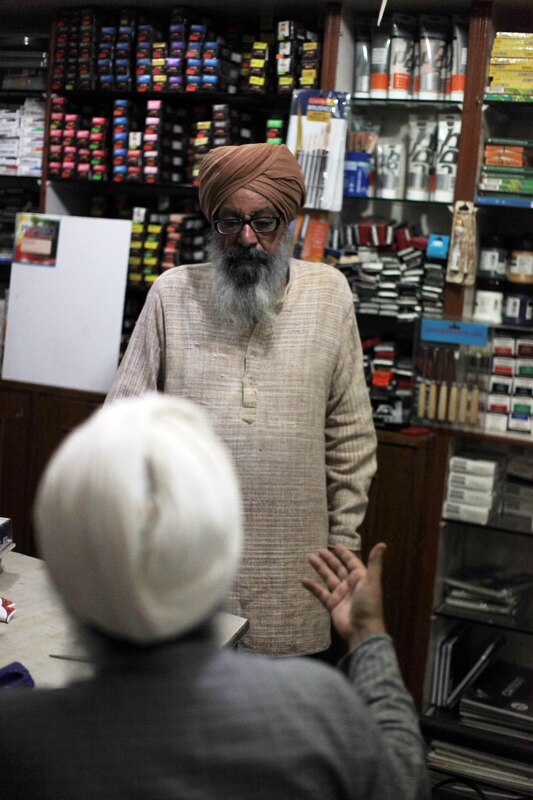 In the meantime he will deliver talks to young students, on art in general and Sikh Art in particular, apart from painting a series on the theme of BAAZ of the GURU syndrome. The residency starting from October 2012 and Hardev will be present to meet interested and those who want to learn to look at art and appreciate the creative process. 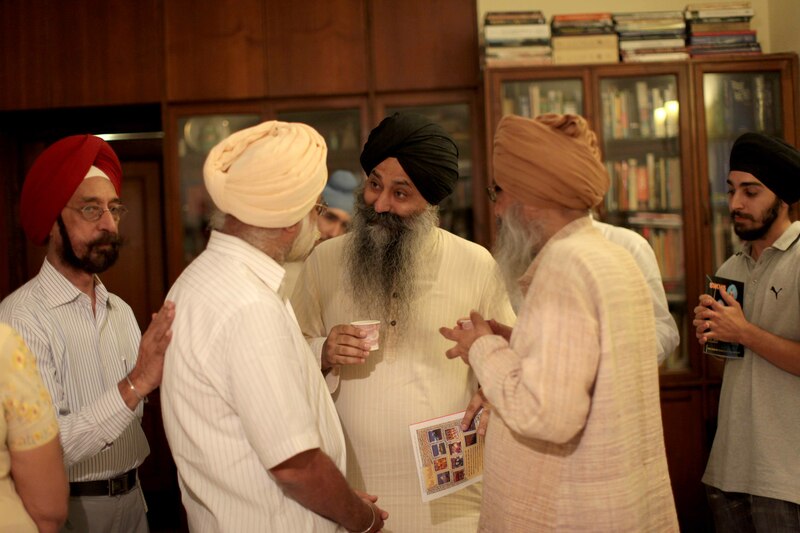 Artist Hardev Singh with member trustees of Anad, Sardar K. T. S. Tulsi and Bhai Baldeep Singh. It’s wonderful to hear that there will be another artist in residence at the qila. How long will he be staying? He is really a gr8 personality . I m very fortunate to get a chance to met him . after 2nd week of feb ..
hi goga mam, radhika here …..please reply to my email at kritzz2009@hotmail.com as its urgent…need to talk to u….